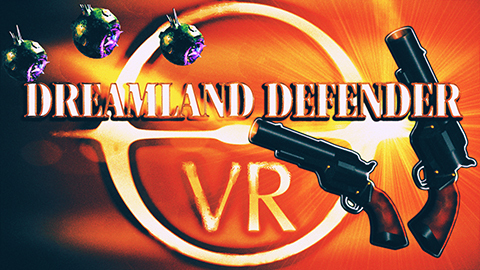 This is some of the latest work done on Dreamland Defender for Steam VR. New AI behaviour system for drones. Drones will now be more likely to seek their target, and not flee and wander as often. New drone steering system. Drones will tend to fly and behave as a group. This is most apparent when many drones are present at one time. Added new heavy laser enemy, floaters. Added pursuing bullets for foes. Foe bullets will slightly seek their targets. The old Winchester now fires one pursuing bullet, and not a handful of weak bullets as previously. New narrative voice on the great flying saucer. Player can now lose the game (no more easy testing, dear dinner guests). Player is then taken to a highscore board and have the option to restart the game. Bug in game restart (reinitializing VRTK/particular VR system on active machine when reloading scene) has been solved. Added another vfx on drones firing their guns. Rebuilding icon choosing system for highscores. made a correction to one of the foe ai steering behaviours (jumping and avoidance). sand swirl effect from large ufo now setting position on terrain. distance check for flying foe for calculating wandering behaviour. coded big rock obstacle logic. reimport of samples for positional audio. bullet puts decals on certain meshes. bullet physics adjusted. Knockback effect implemented. Simpler bullet. Bigger visual effects. Adapted all graphics to Valve’s “The Lab Renderer”. Still some minor bugs. FPS is higher. Lighting is not better. Optimized all graphics maps for better FPS. New gun / rifle sounds. New health up sounds. Split terrain into smaller parts for optimization purposes. Work on terrain (mesh paint and plant details). Switched away from Valves “The Lab Renderer”. Gone through all lighting and texture map sizes and compression. Applied some post process again. Mainly color grading. New loading system for splash–>menu–>game scenes (now using SteamVR). Resized muzzle flash on primary weapon. Smaller. Reworked trails and particles on crashing drones. Reworked blast from crashing drone. Adjustments of AI flee distance and behavior. Hints for player in first zone. Redesign of End Screen zone. 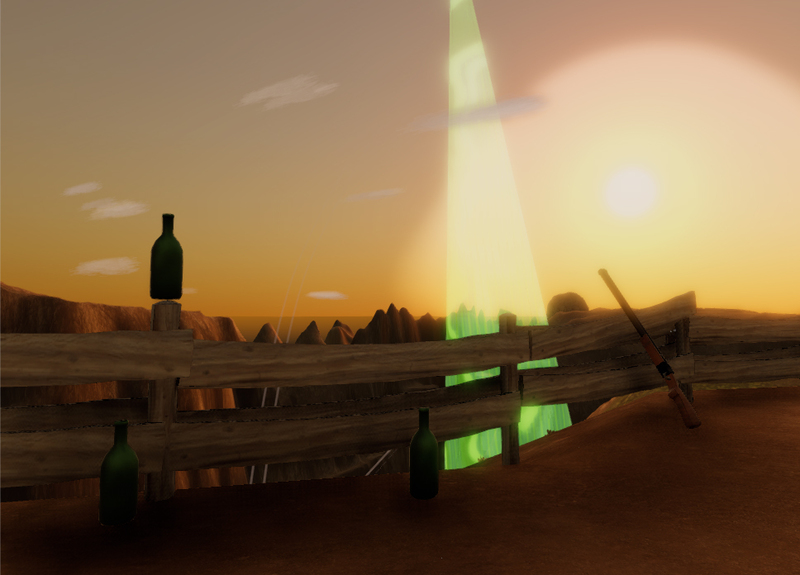 A couple of new 3d models. Removed multiple awards for shooting small items. New sounds for zone teleportation, first zone animation, and others. New refresh time for notifications. New body hit sound. Lower volume.